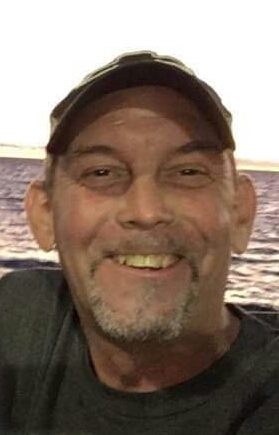 Wallace Smith Jr, 44, beloved husband, father, grandfather, brother and dear friend to all, passed away on December 22, 2018 in San Diego, California. Wallace was born at Ft. Devens Massachusetts Army Installation and grew up in South Carolina with his parents, sister and three brothers. Later in life he became a millwright, cook, and a small business owner. Wallace was perusing his bachelor`s degree in computer engineering at SNHU, where he was a straight A student and a member of the The National Society of Leadership and Success. Wallace moved all over the the United States, wherever his desires would take him, from north to south and from east to west. When living in Visalia, California Wallace and some friends founded the Iron Men Ministry, a ministry that answered the call of God to join their efforts and proclaim the good news of Jesus Christ to men who did not attend church, as their saying went "As Iron sharpens Iron, so one man sharpens another. Wallace had many passions in life, the main one being his family, which always came first, he loved to grow things in his garden and making things with his hands, he was a great storyteller, he had a wonderful but eccentric sense of humor, and he loved to talk and teach, anyone that would listen, about the consolations in the sky. Wallace is loved by many and will be greatly missed. We the family ask that you spend time with your children and loved ones, take a walk on the beach with your significant other, spend time helping someone in need, and make a toast to enduring friendship, lifelong and beyond. That is what Wallace would wish. Wallace funeral service will be held on February 9th at 11:00 am at King Grove Baptist Church in Pelion, South Carolina.